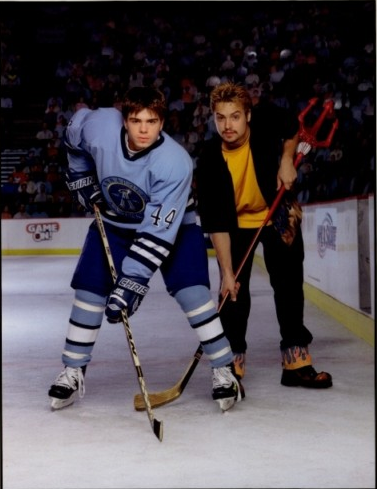 Will & Matthew. . Wallpaper and background images in the Will Friedle club tagged: will friedle matthew lawrence h-e double hockey sticks. This Will Friedle photo might contain ice hockey, hockey, hockey game, ice hockey rink, ice hockey rink, and hockey stick.